This lump of plastic arrived in 2 of the Poundland job lots. It’s providence is unknown but eBay seems awash with them. However there is a reason – they’re Rubbish. Panorama Wide Pic 35mm Plastic Camera. Fixed focus shutter and aperture. I quite like a plastic lensed lomo number but this camera is truly awful. 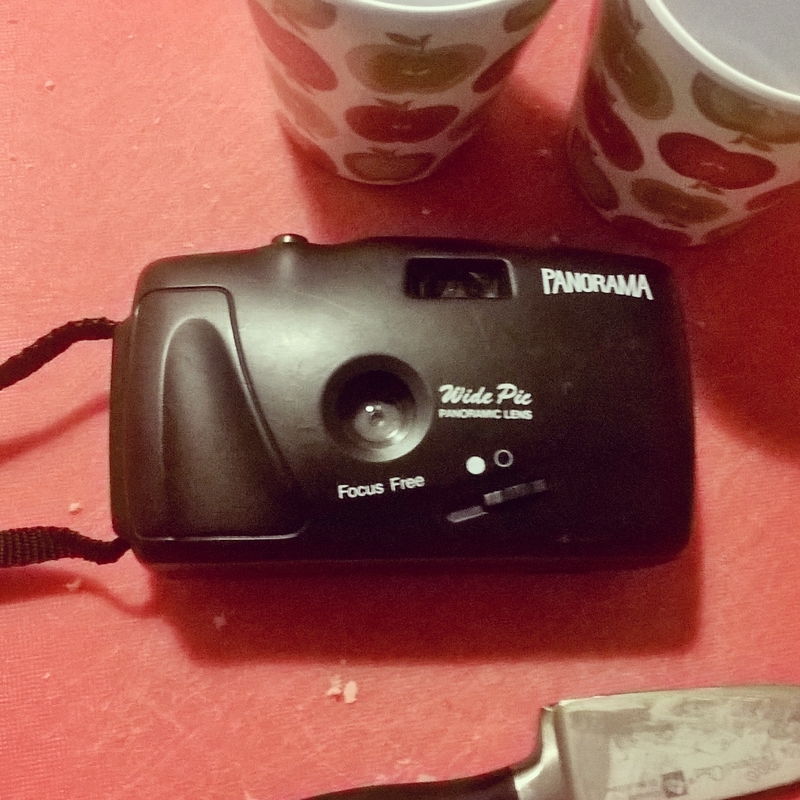 I had wondered if it was made in the same factory as the Halina Panorama as they have broadly the same features such as the sliding lens cover & lock but….. What you have is an all plastic camera with fixed focus, shutter and aperture that takes shots on the Panorama frame developed by Kodak (13×36 mm) . Effectively this masks the top and bottom of a standard 35mm frame (24x36mm) giving a widescreen style frame (and wastes about a ½ of the available frame). I personally prefer my cameras without it. On paper this should do the same as the Halina but the focal point is all wrong. The Halina rightly has this set somewhere between 5m & infinity so distant objects (the raison d’être of a panoramic camera) are in focus and you can get away with some group shoots too. With the unbranded camera it seem set near 5m or less so distant stuff is blurry making it pointless. I suspect someone simple took the design of a cheap plastic full frame shooter which would be fine for 3-5m and added the mask.